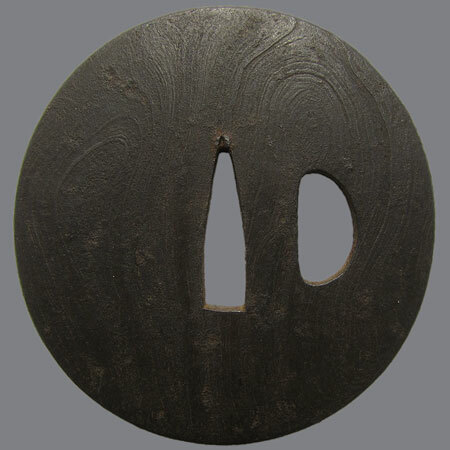 Tsuba made in mokume style. Mokume literally means "texture of wood". 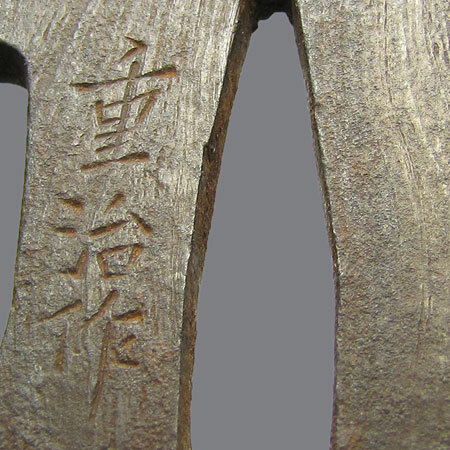 It is the pattern of the surface, which resembles the wood grain. 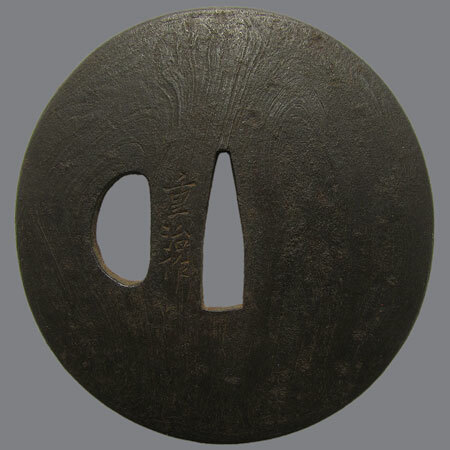 This kind of surface can be obtained after treating with acid a tsuba, made by the "marugitae" method - a folding, at opposed angles, of a single plate of iron several times.